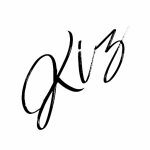 I have two exclusive goodies to show you, only available from Psyche’s Beau! The first I’ll be showing is a lovely unicorn pee nail polish from Starlight Polish. This will be followed by a pomegranate scented Soy-Based nail polish remover from De Yeu. While the remover is available now, the polish is available for pre-order until November 17 so be sure to have at them! Let’s take a look! Pschye’s Beau celebrated their very first anniversary in October and invited Issa of Starlight Polish to join in their party. Issa created the exclusive shade for the celebration which has returned for a second round of preorder. Khoi is a smokey grey jelly base with original unicorn pigment shifting red to gold to green. It applies beautifully, a bit on the sheerer side which really allows you to see the glow from the UP pigment. I’m wearing three coats with a glossy topcoat. Fun Fact: Khoi means smoke in Vietnamese! Next up is this soy-based nail polish remover from De Yeu, scented with pomegranate and also includes an organic pomegranate seed oil which is known for its anti-inflammatory and antipruritic properties. 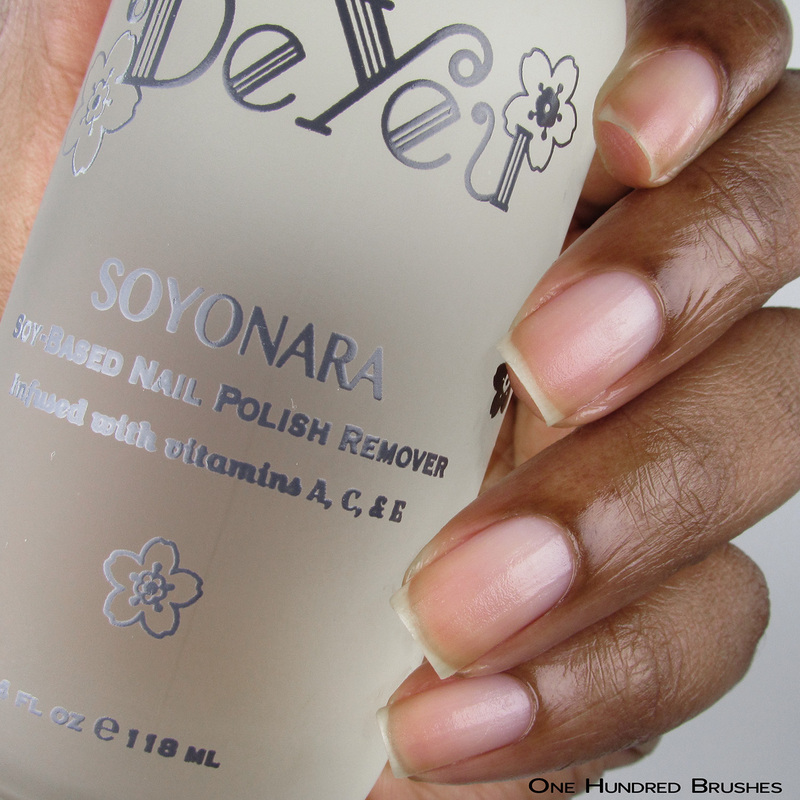 Soy/plant-based polish removers are different from the usual acetone nail polish removers in that they need to soak into the nail to allow for it to take effect. 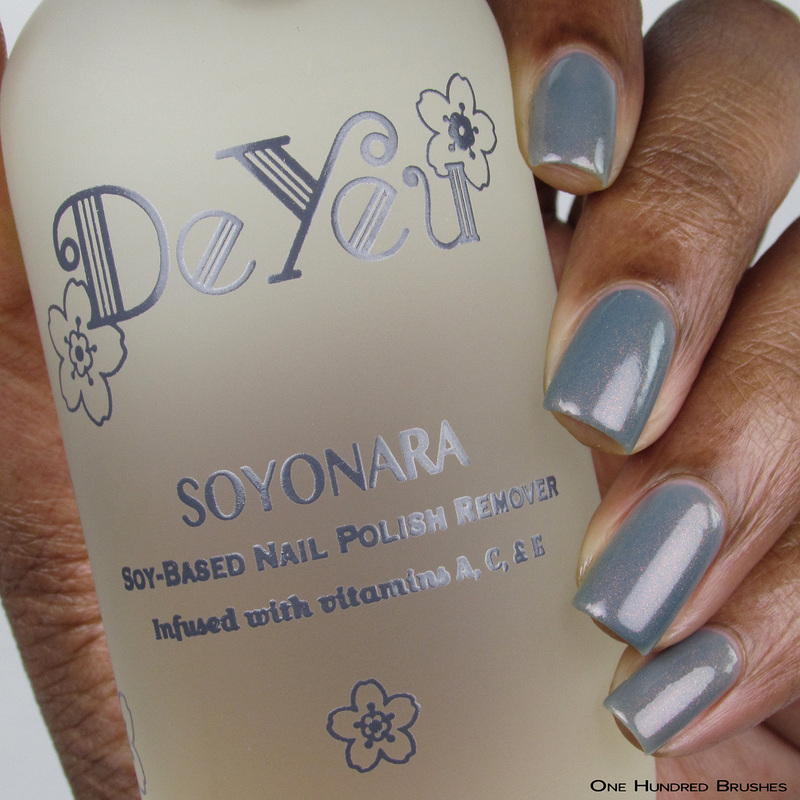 Soyonara is oil based and thus very moisturizing to the nail. After the remover was soaked on for a few seconds, they really didn’t require harder than usual rubbing to remove; it was quite easy! Out of curiosity, I tried removing some glitter polish that I had on my toes and I will say that I was pleasantly surprised by this plant-based remover’s muscle. I did have to scrub a bit as I would have had to with an acetone based polish, but I’d say that removal was neck in neck. While I do appreciate the moisturizing properties of this remover, as a swatcher who has to rapidly change polishes between camera shots, it isn’t something I would see myself grabbing regularly. You need to wash your hands after using it which pretty much steals away from my time. For regular polish wearing, I would gladly recommend this as an alternative. The Starlight Polish Exclusive shade, Khoi is available until November 17 from Psyche’s Beau! Please allow 4 weeks for fulfillment after the end of preorder + 1-2 weeks for delivery. 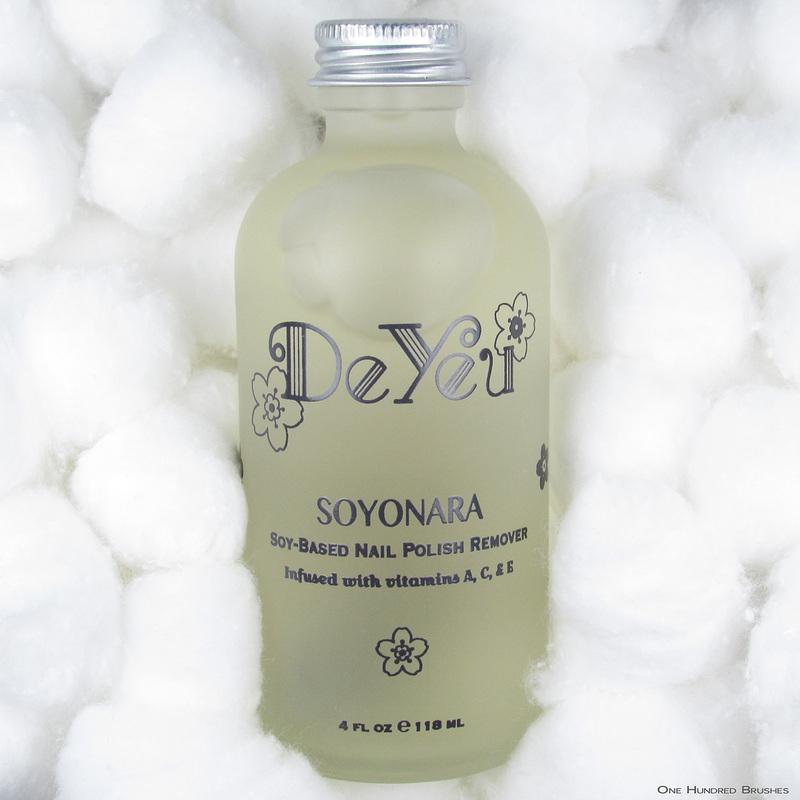 De Yeu’s Soyonara Soy Based Polish Remover is now available from Psyche’s Beau! The polish remover is awesome! I have some and it leaves my nails nice instead of dried up, and it doesn’t stink!